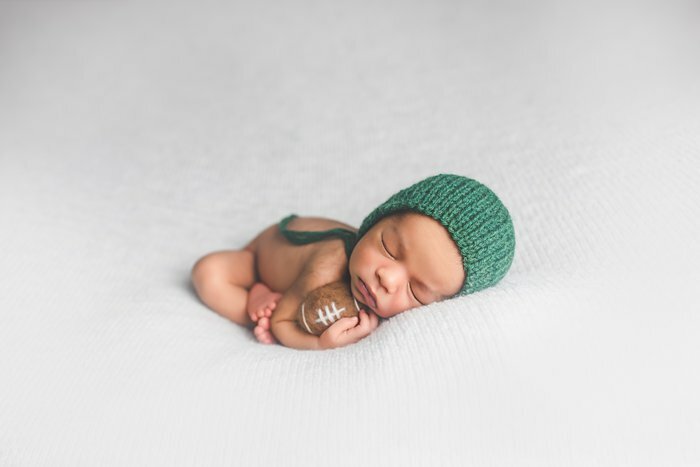 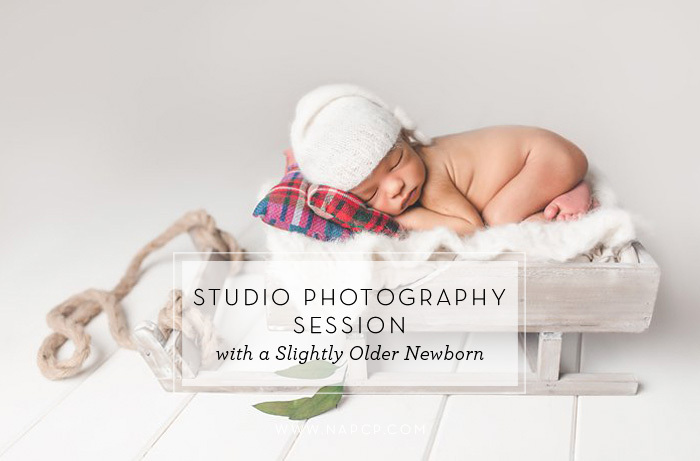 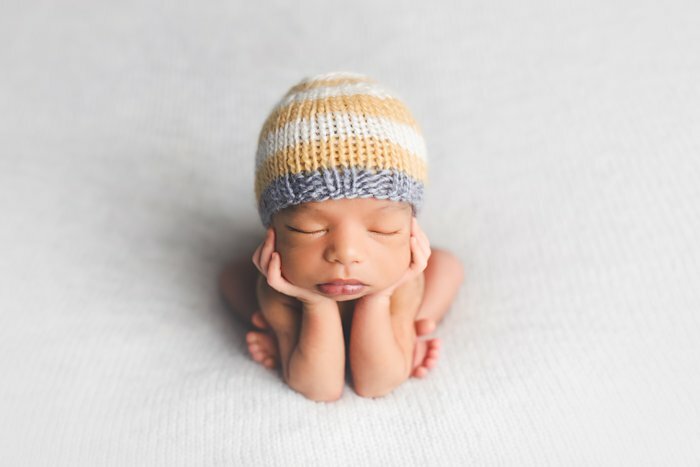 The baby from this session was 13 days old for his session and was an absolutely perfect little model for me! 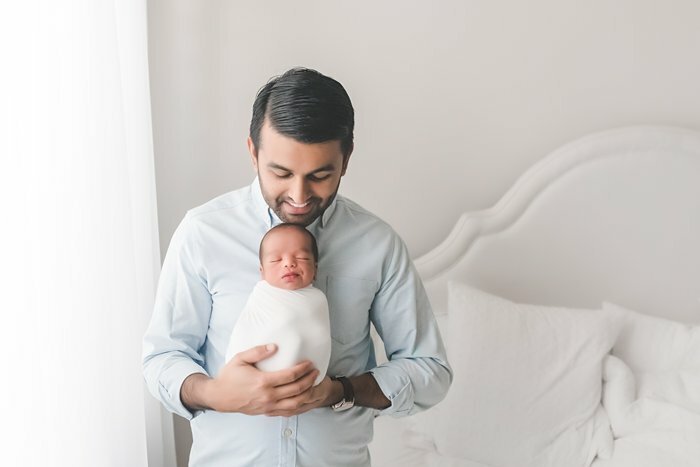 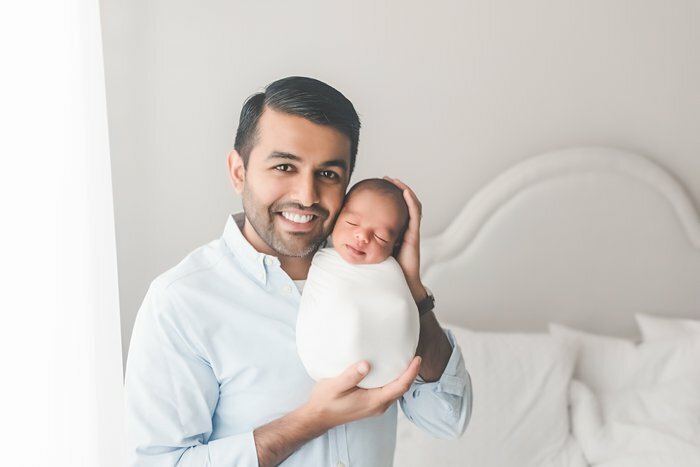 We did the family photos in my all-white studio bedroom, which uses natural light, and then moved into another room for the newborn portraits, which I design exclusively for newborns and babies. 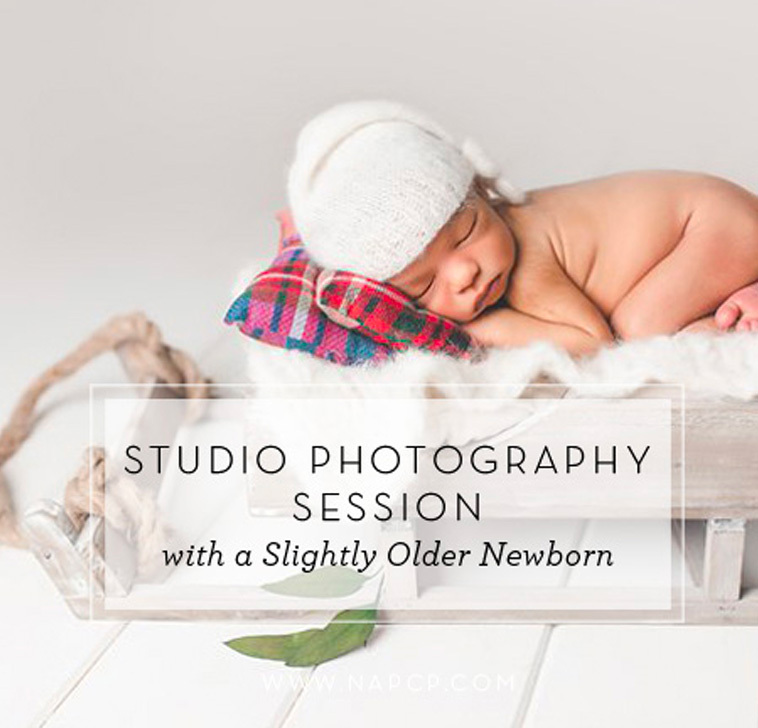 I use Westcott studio lighting in this room. 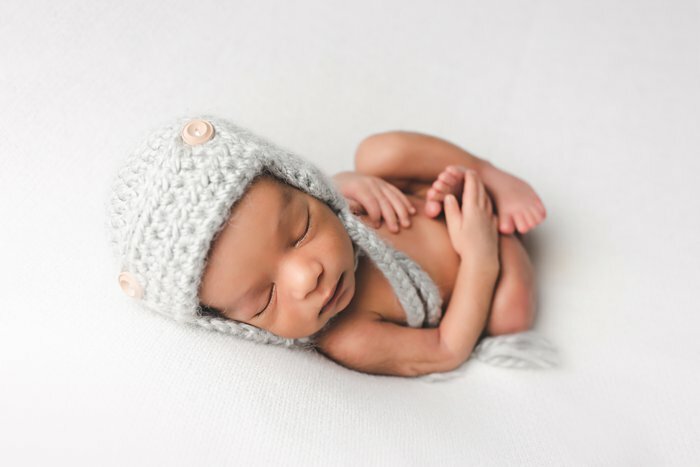 The white sleeper hat and fluff layer in the sled are by Baby Le Cradle, as are the blue cable-knit hat and wrap. 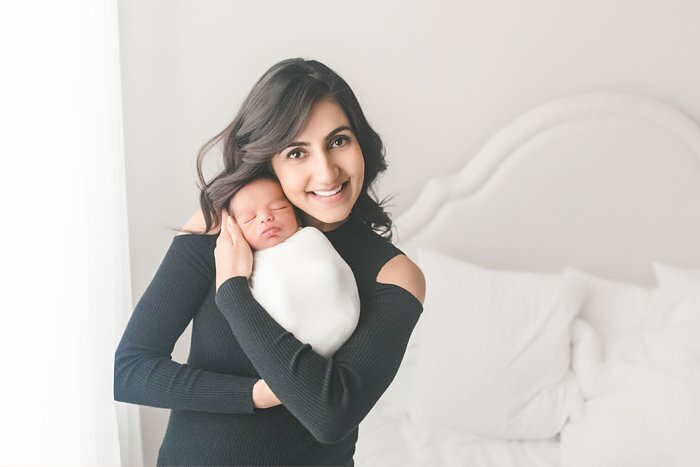 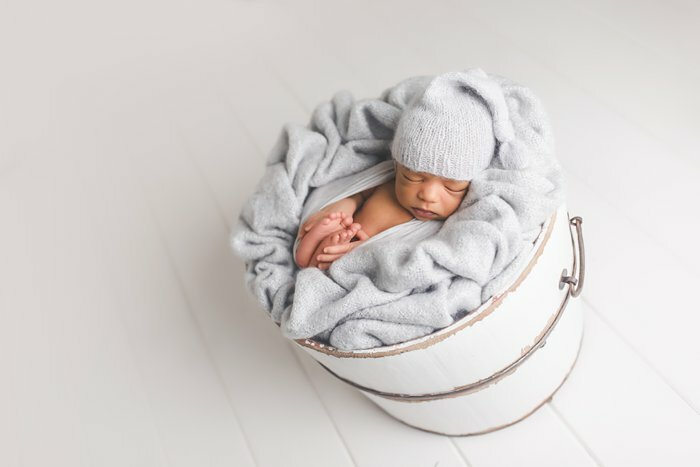 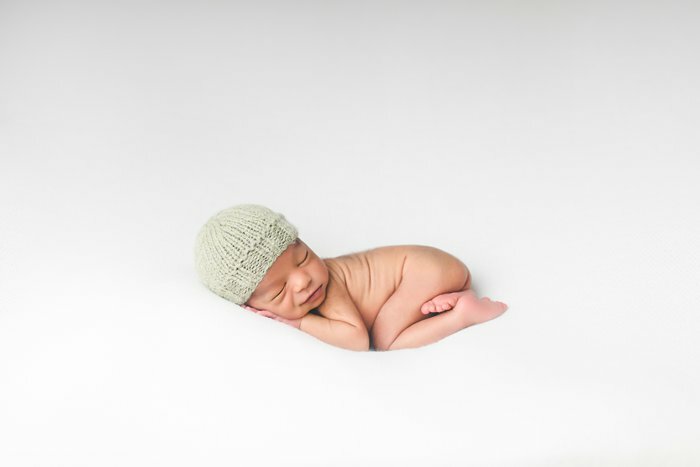 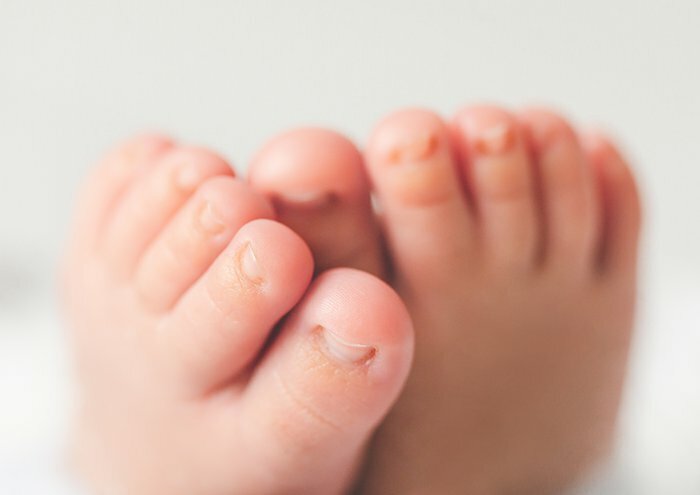 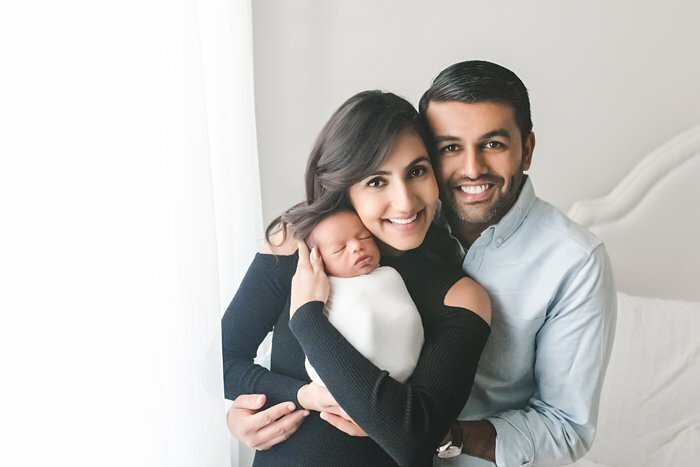 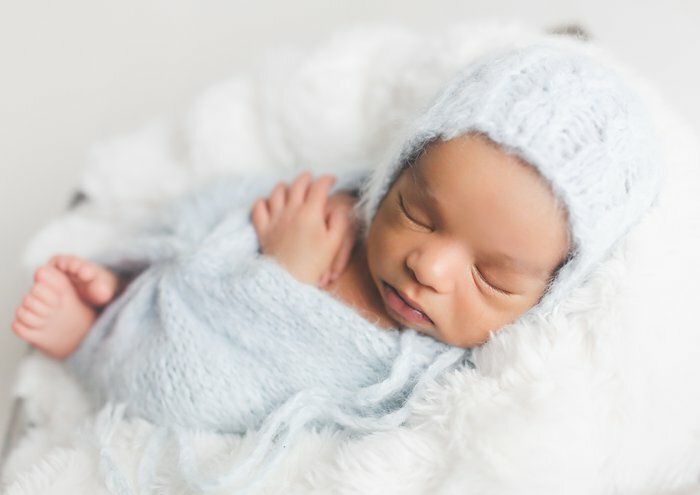 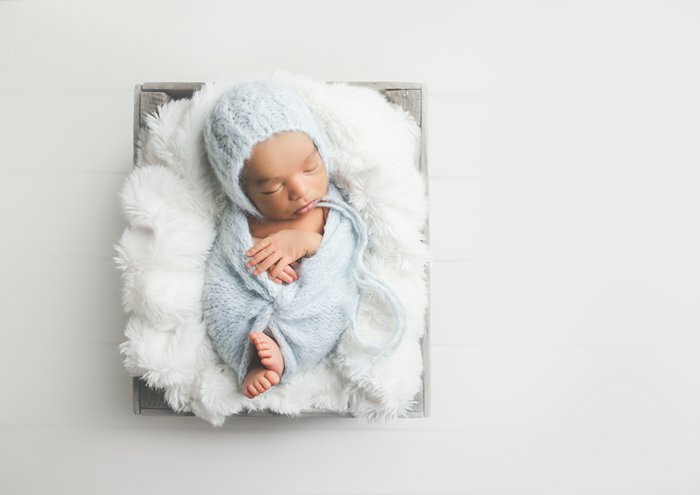 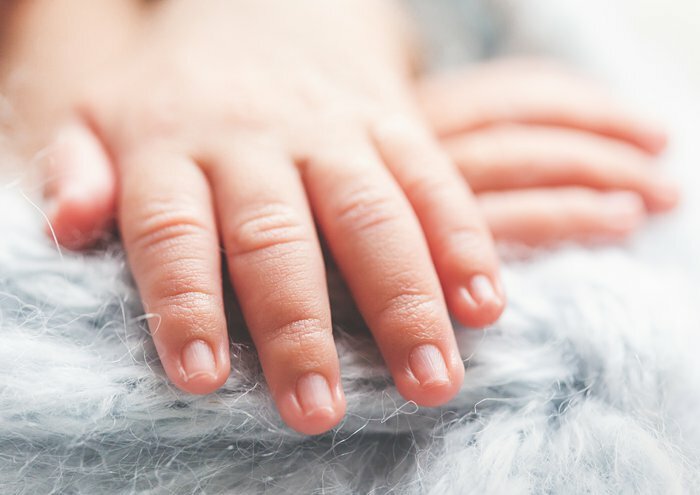 Rebecca Danzenbaker is a newborn photographer in Northern Virginia, with over 10 years of experience photographing families and babies.